Last year was reportedly the most dangerous year on the roads in the United States since 2007. 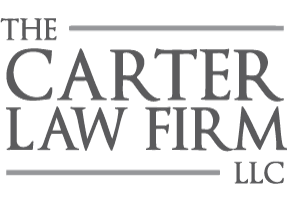 While we have experience in a plethora of services, our primary focus is personal injury here at The Carter Law Firm, LLC. Unfortunately, it’s a necessity. Whether you grew up in Alabama, or you just moved here, you are probably aware that a lot of our state’s roadways are very dangerous. In Bessemer, Ala., there have been four accidents on I-59, including three deaths, in the past two years. Also in Bessemer, on I-459, there have been five fatalities and two injuries reported in the last two years. Last year saw one fatality on I-59 near Trussville, Ala.
I-65, with 228 fatal accidents between 2004 and 2008. This includes a mother, father and child who passed away during an accident on July 24, 2017. What are some steps that you can take to ensure that you don’t become one of these statistics? One thing you can do is, if you possibly can, avoid using these congested roadways during peak traffic times. These times in Jefferson County are typically between 6:30 AM to 8:30 AM, and 4:30 PM to around 7 PM. If there are alternate routes you can use while driving to and from work, or while running errands, take advantage of those. Whatever the reasons for these shocking Alabama roadway statistics, The Carter Law Firm, LLC can help you or your family in your personal injury crisis. Located in Fultondale, Ala., we proudly serve Fultondale, and Gardendale, but also places like Trussville, Bessemer, and all surrounding North Jefferson areas. We live here, and we understand your needs.